Apple recently released its big iOS 12 update to users with a plethora of new forward facing additions. While the basic design elements are pretty much the same, there are a whole lot of improvements made in management, existing features as well as performance. Other than this, it’s never too early to start wondering what the next iteration of the firmware will have in store for users. Seemingly, a new iOS 13 concepts have appeared, showcasing several aspects of the firmware for what we would want to see. Let’s dive in to see some more details on the iOS 13 concept. Before we begin, we have to give it to Jacob Rendina for designing a beautiful iOS 13 concept. It’s neat, it presents all the features well and the features themselves are curated quite well. In addition to this, the features added are practical and doable. 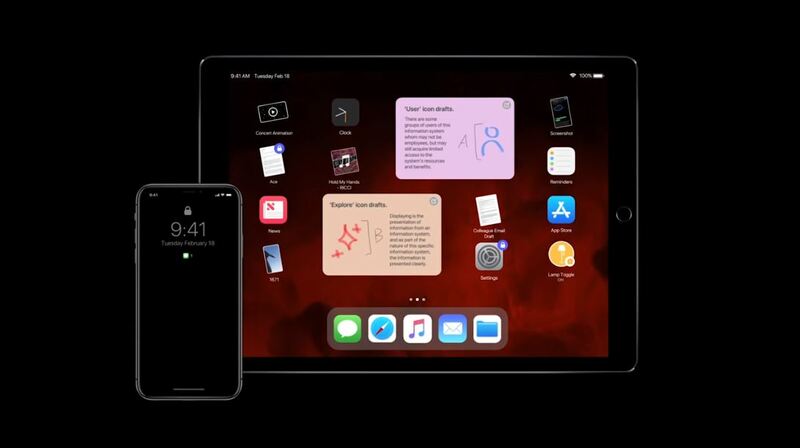 We can see in the iOS 13 concept video that the Home screen is revamped, multitasking is enhanced which includes running two apps side by side on the iPhone, the ability to lock individual apps and much more. In my opinion, one of the best additions is the inclusion of an always-on display matched to Apple’s standards. However, features like dark mode and multi-user support are also one of the most demanded. If you’re interested in checking out the entire list of features added in the new iOS 13 concept, check out the video embedded below for more details. The stunning iOS 13 concept also envisions the multitasking feature that best fits the bigger display on the iPad. Furthermore, the improved dashboard on the iPad seems practical. What do you think about the iOS 13 concept on the iPad? We’re far from knowing what Apple might add in its next big iOS update. Moreover, designing an iOS concept does not necessarily mean Apple will add some or all of the listed features. However, the features are practical and already present on the market in the Android territory. It would be neat to see some of these features making their way to iOS 13 next year. there will be more to the story, so be sure to stay tuned in for more details. This is all for now, folks. What are your thoughts on the new iOS 13 concept? Which feature would you want to see in iOS 13? Let us know in the comments.